One of the things I love most about running is how easy it is to "do." It doesn't require a ton of expensive equipment or special skills, you just do it. Sure you can get fancy gadgets, special clothes, or make a complicated training plan, but you don't need any of those things to get started. 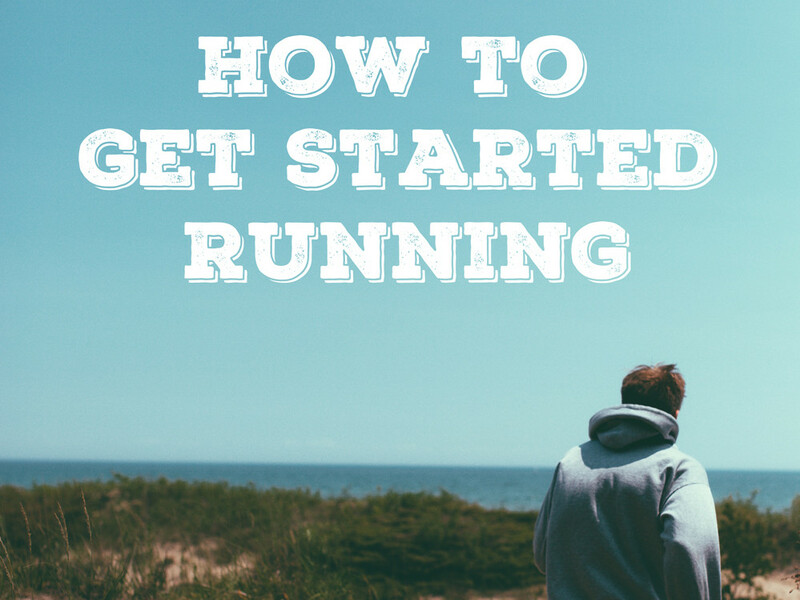 It’s important to know why you want to start running, and to set a goal that aligns with that. What is your motivation, purpose, reasons why quitting is not an option? Often, when you find your reason, you plans will fall into place. Keeping your why in mind, you can set your goal. Do you want to run a 5k, run a sub-10 minute mile, or run a half marathon? This is my method for so many things, there's often never the perfect time to start anything so it's better to just start rather than put things off until the time is "right." Being a runner or going for a run doesn't mean that you have to run every step. It's important to listen to your body and take a break when you need it. Sometimes I find that it's easier to program walk breaks into my run, other times I find it better to just take a break when I feel like I need it. Often, I know it's all mental and my body probably doesn't really need a walk break, but I feel better after a few minutes (or seconds) of walking and can get my head back in the game. Having a partner is one of the most motivating things you can do when it comes to any form of exercise. My main running partner is of the four-legged variety, but she keeps me motivated just the same. I like to make exercise plans with someone at least once a week because it's a lot harder to bail when others are involved than when it's just you. When you get into running, it can be very easy to forsake all other forms of exercise. First of all, doing too much of anything is generally not a good idea. But more importantly participating in other forms of physical activity can actually help your running. Building strength is one of the most important things you can do to improve your running and keep yourself injury free (if you need help with that, check this out). I generally recommend having at least one day of rest each week and doing some sort of strength training at least two days each week. This goes for getting started and once you've gotten your running feet under you. You don't want to go too fast or too far too soon. Adding too much mileage too quickly can cause injury and can derail any progress you've made. The general rule is to not increase your mileage by more than 10% each week. I find that challenging to do when I'm training for something like a half marathon, but if you've never run before and need to build a solid base, it's a good rule. While you don't need fancy running clothes, they certainly can make running more enjoyable and more comfortable. If you're on a budget or aren't sure if running is something you're going to continue and don't want to invest a lot of money into dressing yourself, I'd say focus on shoes. Having a good pair of shoes can make or break your run. There are also plenty of free apps for smartphones that can track your mileage and time (RunKeeper or Strava are two that I recommend). I'm partial to my Garmin 220 GPS watch , but that is by no means a necessity. One of my biggest pet peeves is when people say that they run but that they wouldn't call themselves a runner. If you run, you're a runner. End of story. Some people don't like to define themselves by their activities, but if you need motivation, calling yourself a runner can give you the little bit of oomph you need to keep you on track. If you're an experienced runner, did I miss anything? If you're a new runner, what questions do you still have?